My Quilt Infatuation: NTT and A Dash of Luck Finished! Welcome to another Thursday, friends! I'm so happy I get to share my finished churn dash with you today. 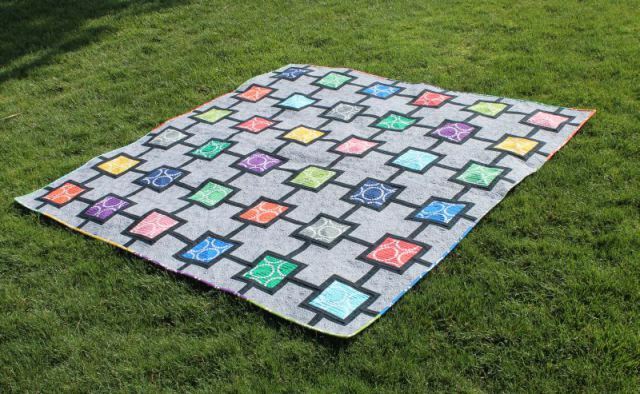 This quilt feels so retro and homey to me. So, I thought my antique Pyrex bowls from my grandmother would look just perfect on top of it. The soft blue of the Amish Butterprint pattern looks right at home, don't you think? I am absolutely in love with this fabric line, which is why I've held onto it since May. I know all of you quilters know what I'm talking about. I don't think I'm the only one that has special fabric that just can't be cut until you find the absolute perfect project...am I? Well, it dawned on me that as much as I love modern quilts, this fabric needed something a little more traditional to show it off. The churn dash pattern is exactly what I had in mind, even if it did mean 320 HST's. Nope, that's not a typo y'all. 320 HST's for 80 blocks. This quilt is 72x90. I don't know what has come over me lately with these huge quilts, but I'm ready for a smaller project. For the backing and binding, I found these awesome Denyse Schmidt fabrics at Joann's and they look like they could be coordinating prints in this line. I was on the lookout for a great shade of orange, and I love it when a plan comes together. The colors are great, and the fabric almost has a gingham look, so it fits with the retro style as well! And of course I used lots of the scraps to give the backing a little extra happiness. Here's a close up of the fabric detail, along with the label. And you know me, if there's a polkadot to be found, I will use it. So, I snatched that binding fabric right up! Last week's party was fantastic, with 50 links for the first time ever! I'm so thrilled that NTT is such a fun party, and I owe it to all of you! So from my heart, I thank you! Now, take a look at just a few of those fantastic projects from last week! Paula, The Sassy Quilter shared her Star Surround quilt top. I love the sunny colors in this one! Christa Quilts shared her finished String of Pearls quilt. Christa's quilting is just amazing! and Candace at Saltwater Quilts shared her progress on this cute chevron table runner. 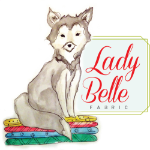 All of these gorgeous fabrics in one place! Now it's your turn! 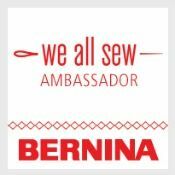 What's going on in your sewing space this week? I would love to see what you have to share! How do you get so many quilts done? 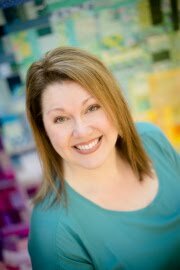 I have been following you for a couple of months and I have no idea how you get so many quilts done and now you are even back to teaching! 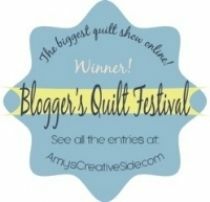 I am total awe of how much you accomplish and how lovely your quilts are! Do you sleep? I've said the same thing Tanya! Personally, I think she doesn't sleep. I love that scrappy backing with the orange fabric! 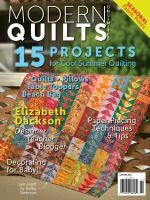 I love the bright colors, always great quilts! Keep up the good work!!! I was thinking the same thing as Tanya! I love this one too not to mention the great looking Pyrex with it! Can't wait to see what is next. I love the finished quilt and OH THE MEMORIES of that Pyrex set! Someone in my family had that exact set (my aunt or grandma?) and my mom had the same set in the copper/brown color. I miss those bowls and wish I would have snagged them before they disappeared. You were definitely right about needing a more traditional pattern for it. The pattern and the fabric play so nice together. Love the DS prints on the back too, this one is just all kinds of awesome! Your churn dash quilt is gorgeous :) I've had a half yard bundle of Lizzy House Constellations sitting around because I hadn't been able to find the perfect project for it. Good work Kelly, it looks fab! I agree with the others, I don't know how you get them all done so quickly and to such a high standard. That pic with the Pyrex is great! I really like the quilt - great idea for those fabrics. Another fabulous finish, Kelly! I really love the backing and binding you chose - such a compliment to those fun churn dash blocks! Wow, it is a big one.... You are awesome! Hope school is going well, too. This is SUCH a gorgeous quilt. And yes, I love that DS dot from JoAnn's and have been using it, too! I love that fabric line and you picked a great pattern. It turned out gorgeous! 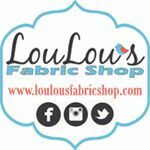 I love that fabric line as well! This turned out great Kelly! I love this line too and I also had to purchase my own share of those DS prints :) I just love orange. 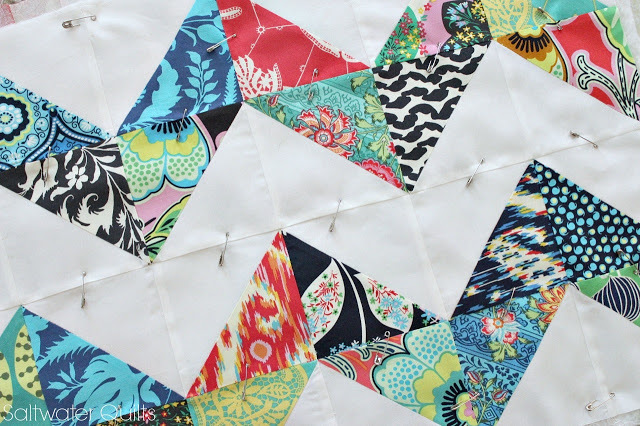 I simply love your Churn Dash quilt and the fun pieced backing is a perfect choice! All those hst's were worth it :-) Thanks for sharing mine, too! You are the Mad Quilter, girl! (Mad for quilts, not crazy :) This turned out so good!!! I can't believe how quick you got it done. I might have had to spread out all those HST's:) So adorable and the bowls are so special. I just love the color! This looks AMAZING! Great finish and the added Pyrex dishes from your grandmother are a great compliment in your picture. Wow! That really is a big churn dash quilt!! It looks great, I love the fabrics you used. Absolutely Amazing, Fantastic and everything nice you ever can say about a quilt! Oh, I wanna make one for me too!!! oh, yes, those bowls go well with the quilt! I like hst's so maybe in need to churn and dash a bit, too. I got several of those itty bitty dots from HGL to use in my epp project. love them! Your Churn Dash is great! 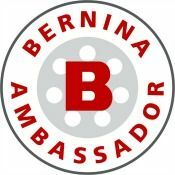 Thanks for sharing and for hosting the link party. I love to see what you've pulled together from the previous week. Who doesn't like a polka dot? Those bowls are beautiful! (And the quilt,too!) I should look at my Pyrex dishes and see if they are something special. I never thought about that before! Another adorable quilt Kelly! Thanks for hosting NTT. 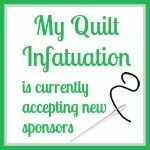 I am a little late linking today but at least I made it! 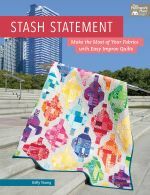 Wow that's a lot of HSTs - but so worth it! It looks fabulous! You know I love a good Churn Dash! I am awed by this Kelly! I have been saving my Happy Go Lucky too. (except for the hexie precuts) I love this quilt. Great job. Beautiful quilt. Great pattern choice for this fabric. wow, that's huge. well done! Love it! Good call with the churn dash pattern, it's perfect for this line. Your churn dash is gorgeous! I love it! Love the churn dash with happy go lucky! I have been seeing a lot of churn dash lately. Your quilt is lovely--but yikes 320 HST. You have a lot of patience. It paid off. The quilt is beautiful, and I love the back too. I'm over from SewManyWays. Your quilt is gorgeous. Beautiful colours and fabrics and those dishes are the nicest I've ever seen. I'm now following your lovely blog by email. Beautiful finish Kelly! 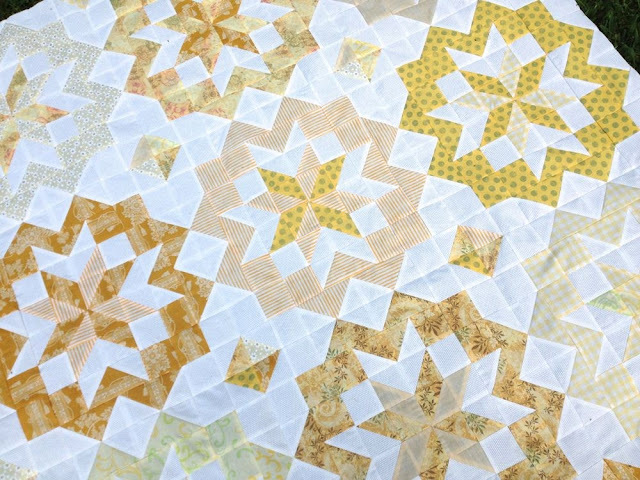 They way you can pump out these gorgeous quilts is amazing! Your quilt is just gorgeous, Kelly! I have yards of that DS plaid that you used on the back--I might go back for some more. And you are right about polka dots. P.S. I need to start linking up to YOU on Thursdays!! the churn dash was the perfect marriage of fabric and pattern. as a lover of vintage pyrex---ahhhh! I've been keeping an eye peeled for POLKA DOT pyrex--I've seen pink and red. Such a great quilt, Kelly! I'm in love with this fabric line too -- I think it's one of their best! Your quilt turned out great. Oh how I love the pyrex. I am collecting that same print. I've had Churn Dash on the brain for many months now. I love how your quilt turned out! Fun fabrics, fun pattern! Congrats on a really ginormous finish and thank you for linking up! I love your churn dash quilt and want to know the size of the blocks and which pattern you used? Thanks so much Leana! The blocks are 9 inches finished. I didn't use a pattern. I just constructed the HST pieces using the four at a time method to give me 3.5 inch HST's, and cut the side pieces from 2 inch strips sewn together, which gave me 3.5 inch segments. I'm so glad you like it! It's beautiful! You call those bowls antiques - my mama has some of those she received as wedding gifts 51 years ago. I guess that makes them antique. Yikes! What a great back that is! I just so happen to be hand stitching the binding down on a very large, VERY OLD, churn dash quilt. I am doing it for a friend, the quilt was hand stitched and hand quilted by his grandmother! The batting on the edges is very weird, eck ragged and spotty and I can't trim off the edge even because the handquilting goes all the way there. anyway the fabrics in this must be from the 30's & 40's and the backgrounds are shirtings. We are so lucky to have our supplies today. I just love that scrappy strip down the back. I know you agree...they just add a pop...and ya really get to use up your scraps!! !